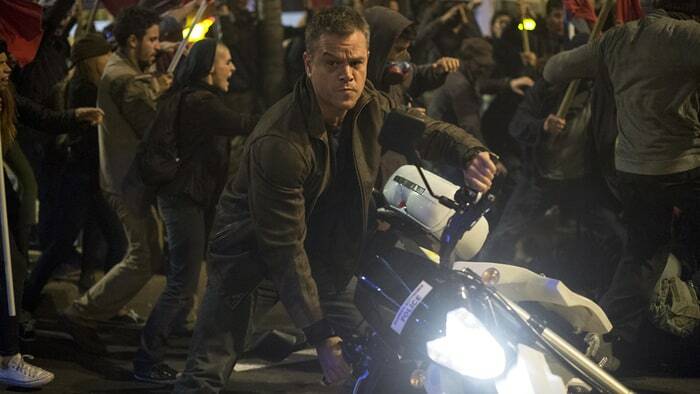 Everyone around the world was 'dying' to get Bourne again. And with writer/director Paul Greengrass and the lovely Matt Damon returning to the scene, we knew we were in for one hella-tight ride. 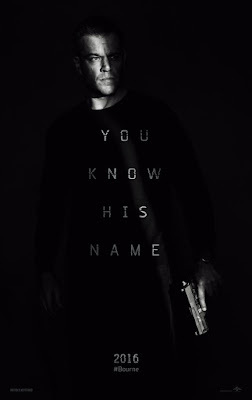 I guess nine years later and one ill-conceived spin-off, the two felt it was an opportune time to inject us with a dose of Bourne-adrenaline and his extreme ways. And oh how we were more than willing to get "doped" up again. 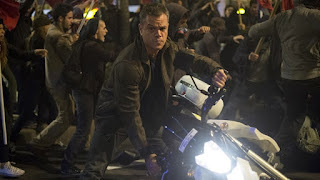 Only trouble is, instead of innovation, it serves up a good dish of Bourne's greatest hits - sadly, there is nothing new here to advance the story. However, Jason Bourne is still a worthy successor, and despite its lack of deep intelligence - something the previous movies so effortlessly excelled at - it was still a thrilling pulsating ride from beginning to end. The unstoppable pace of Damon's standoffish Bourne still represents a driving force to be reckoned with. The next chapter in this bad-A franchise finds the most dangerous former CIA operative drawn out of hiding (again) to uncover hidden truths about his past. Only this time he remembers everything (du-du-duuun). Over the years, time hasn't been easy for Bourne. He's making ends meet as an underground brawler for cash. All this goes down when ex-partner Nicky Parsons (Julia Stiles) finds him and offers yet another clue to the black-ops mystery of Treadstone - the project that turned him into a killer assassin. To say this time it's personal would be an understatement. It's always personal, am I right. Despite its flaws and lack of depth, this blockbuster still provides almost everything you'd come to expect from a Bourne film – the up-close fight scenes, improvised weapons, insane car chases, the oh-so-clever spy-craft, and the high-tech espionage techniques that border on wizardry and no-he-di'nt! It's fun, intense and will leave the audiences relatively pleased in the end. I liked this movie. The action sequences were decent and I was on the edge of my seat throughout. I did have to suspend some reality during but I was pleasantly surprised overall.